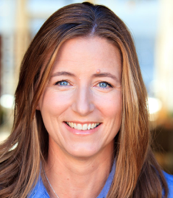 Erin graduated from California State University, Northridge in 1995 with a degree in Physical Therapy. The first seven years of her career were spent in a hospital-based physical therapy department where she was exposed to a large and diverse patient population. The background and experience she gained from working at the hospital enabled her to become a Board Certified Specialist in Orthopedic Physical Therapy in 2002. It was during her first couple years of practice, while focusing her continuing education on manual therapy, that she was introduced to the movement system approach; including the philosophies of professors Vladimir Janda and Shirley Sahrmann. This introduction sparked her passion and since then she has focused her continuing education on utilizing these concepts to effectively assess and treat musculoskeletal dysfunction, movement impairments and muscle imbalances. In 2005, these movement system principles led her to Prague, Czech Republic, where she began her studies of Dynamic Neuromuscular Stabilization (DNS) with Professor Pavel Kolar. After four years of studying and practicing DNS, Erin became one of the first internationally certified DNS practioners in 2009. Having competed at the NCAA level of softball in college, as well as having a lifetime interest in sports, she wanted to focus her practice on treating the orthopedic and sport rehabilitation population. In 2000, she made the decision to open her own practice in Los Angeles. While she utilizes an eclectic approach in her practice, it is largely influenced by the DNS philosophy and the concepts of the Prague School of Manual Medicine. She is excited to seek out more opportunities to refine her skills and increase her knowledge in DNS in order to better serve her patients and to assist other practitioners in understanding the principles of DNS and how to better utilize the approach.